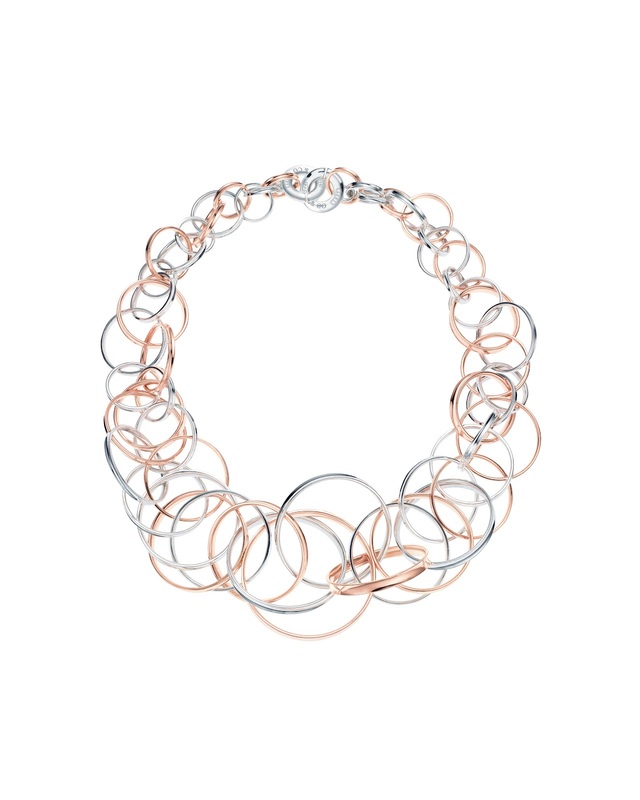 This week, to honour their 175th anniversary, Tiffany & Co. has unveiled a new metal that forges a new trail in desire – RUBEDO™, a new jeweller’s precious metal. Historically, in the medieval philosophy of alchemy, Rubedo was the title of the very highest achievement, when matter and spirit fused to create something of rare beauty. Tiffany’s RUBEDO™ metal is crafted in Tiffany & Co’s great tradition. It debuts in Tiffany 1837™ designs that feature elegant contours polished to a high lustre and finished with the famous hallmark. With a soft pale blush sheen, this new metal matched the glasses of blush pink Bollinger we were served to celebrate the launch while we worked out graffiti style out on a large digital board. 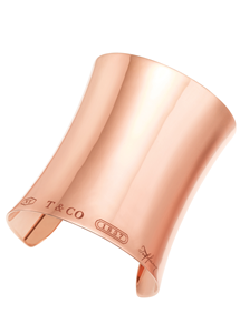 Beautiful curvaceous contoured cuffs in small and large versions were a favourite and easy to wear whether played down for day or dressed up for evening, all with the legendary Tiffany & Co stamp. A similarly contoured ring carries the Tiffany legacy with equal standing. Tiffany designers also contrast the warmth of RUBEDO™ with sterling silver in a pendant and necklace of interlocking circles of great movement and dimension and the famous Tiffany & Co padlock is treated in this new metal. What appeals is the metal’s warmth, weight and light – less garish than gold and more distinctive than silver, RUBEDO™ manages to combine a fashion led statement with the discreet elegance of a haloed brand that after all these years, still marks itself out as different and a leading force in jewellery. 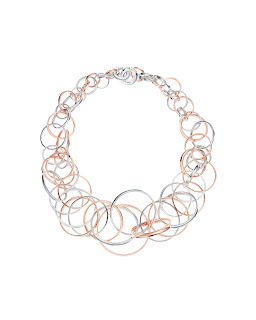 The RUBEDO™ collection is available at Tiffany & Co. stores and at www.tiffany.co.uk from March 2012.